"This is one of my favorite 'stand by' recipes. 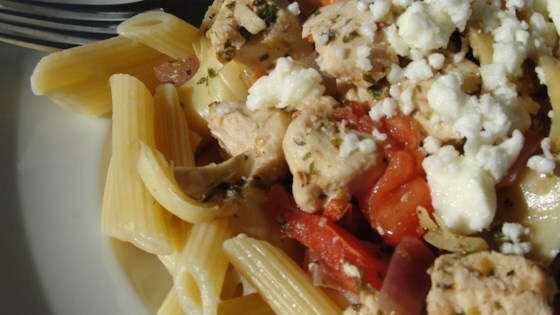 I keep the ingredients on hand to make a quick, delicious, satisfying meal." Delicous combination of flavors, but I thought a bit too much penne for the amount of chicken. I would reduce the penne by 1/4 to 1/3.